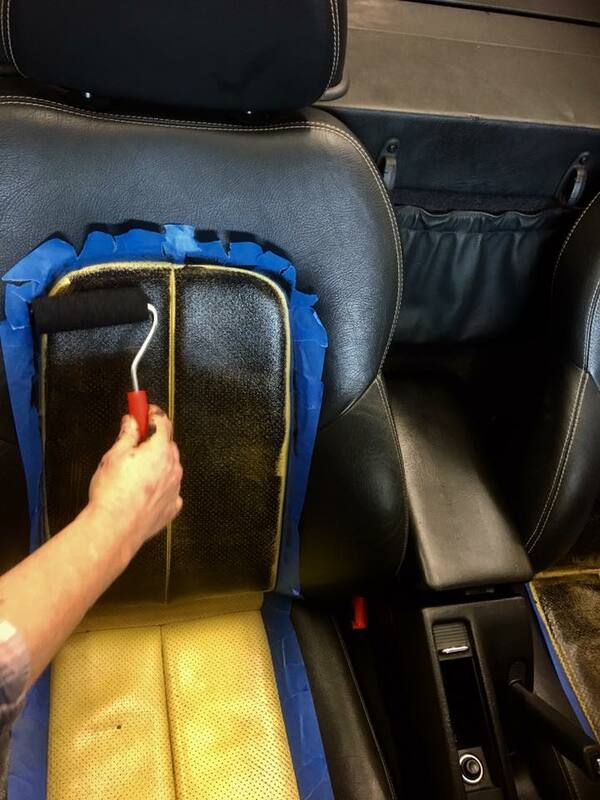 Painting a car interior with Fusion Mineral Paint. A few posts ago we did an interior revamp for a lovely client and ended up painting her leather armchair. It no longer went with her design and it was headed for the local landfill, so we thought why not! 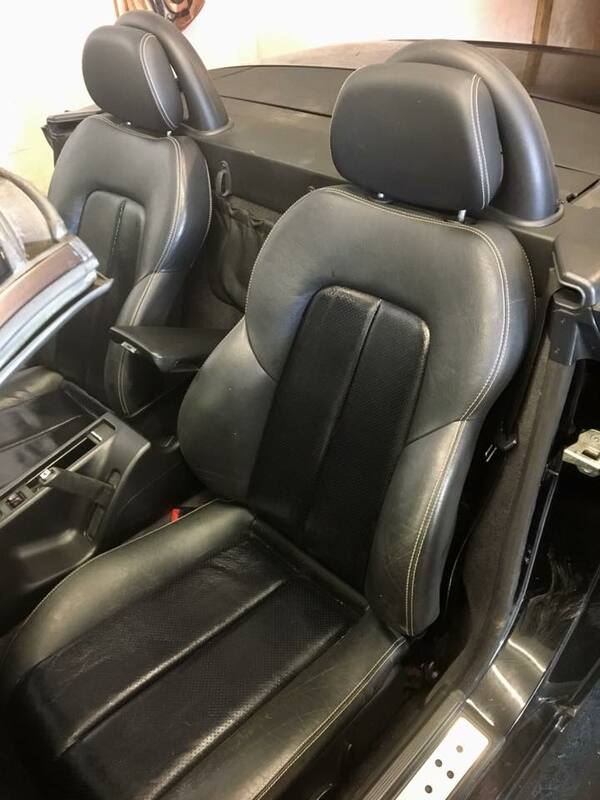 fast forward to a couple weeks ago and her husband who is a car dealer asked if we could spruce up the leather interior of a Mercedes convertible. You see he sits on that leather armchair night after night, the kids jump on it and so does the dog. 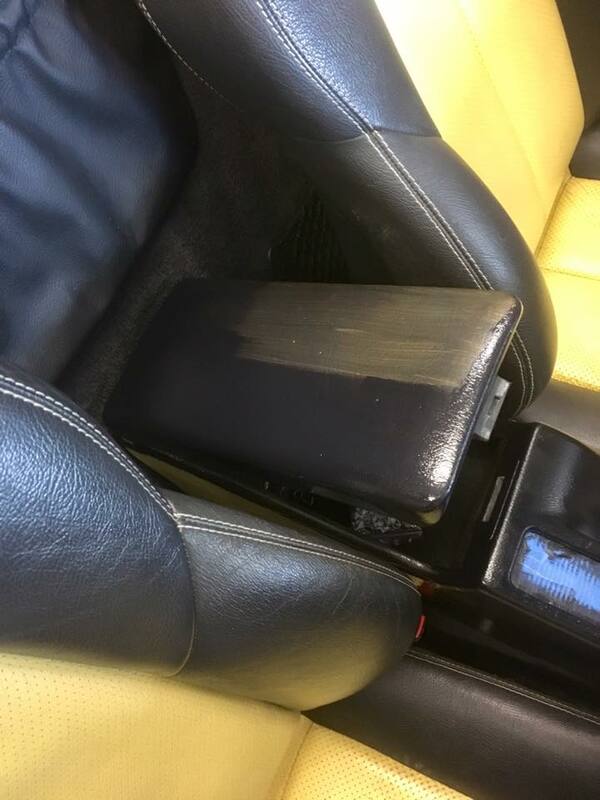 His thinking was that if the paint held up to all that it should work just great in the car. We explained to him that it wasn’t meant for this purpose and we couldn’t guarantee that it would have a long life, but he decided he wanted to go ahead. 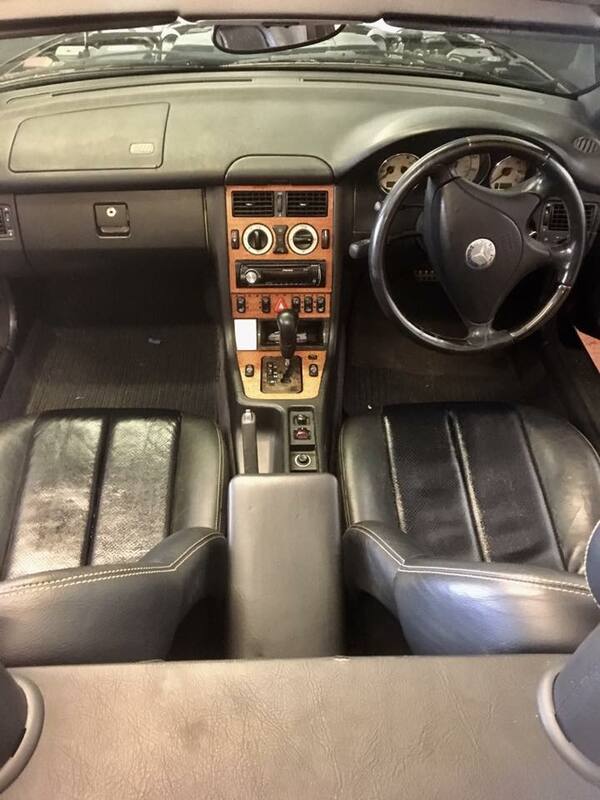 Here is a before of the car interior. 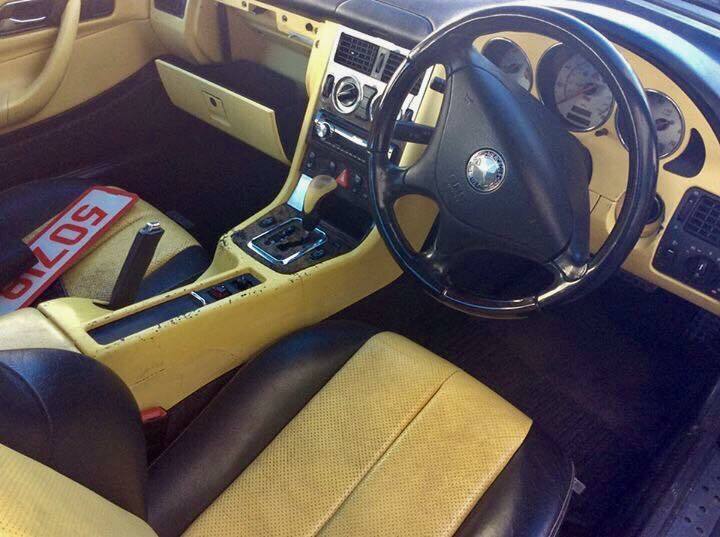 We were asked to paint all the yellow parts of the interior, and he decided he wanted to go black. 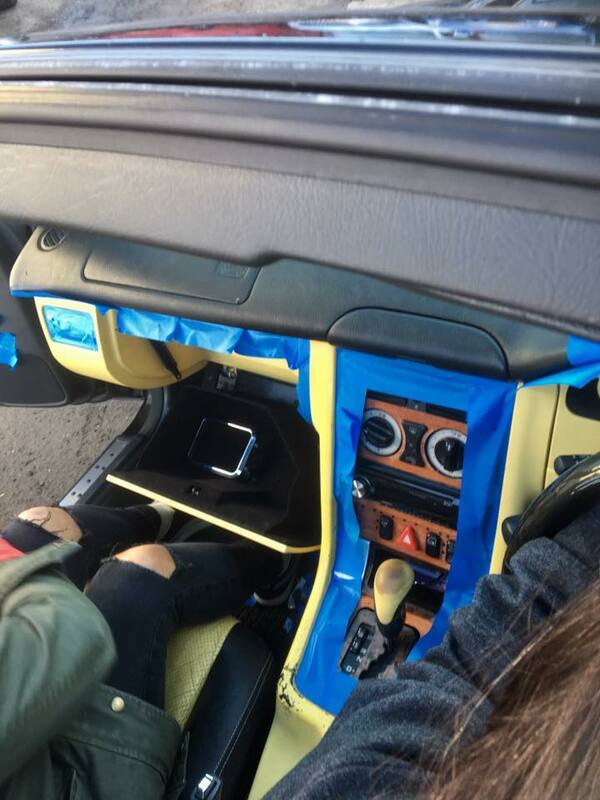 The seats we knew would be easy and durable but the dash board etc was made of a combintion of rubber type material and plastic. 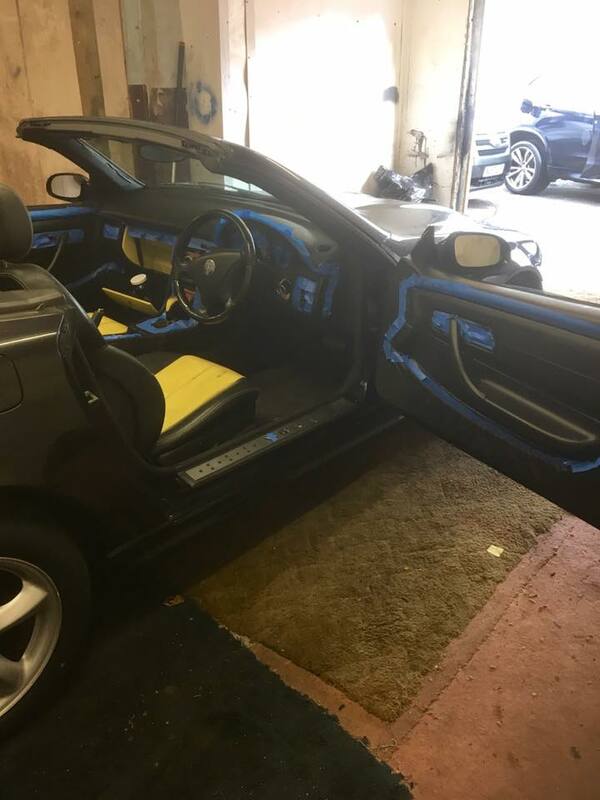 It took a bit of time to prep and tape everything up, it was cleaned and prepped with a lttle sanding using our fabulous Sandi Hands. They came in useful in the hard to reach areas. 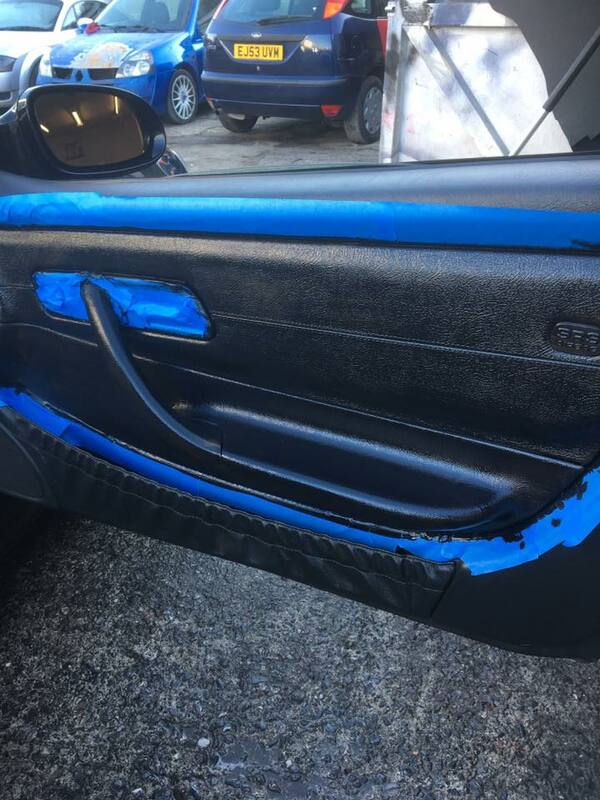 It probably took just as long to prep as it did to paint, but this wasnt the type of job you could just start over. Once all the prep was done and we were sure we had masked everything, it was time to start painting. We were so excited! and at one point we had maybe 5 men all standing around the car, arms folded shaking their heads and mumbling under their breath! sooo funny. 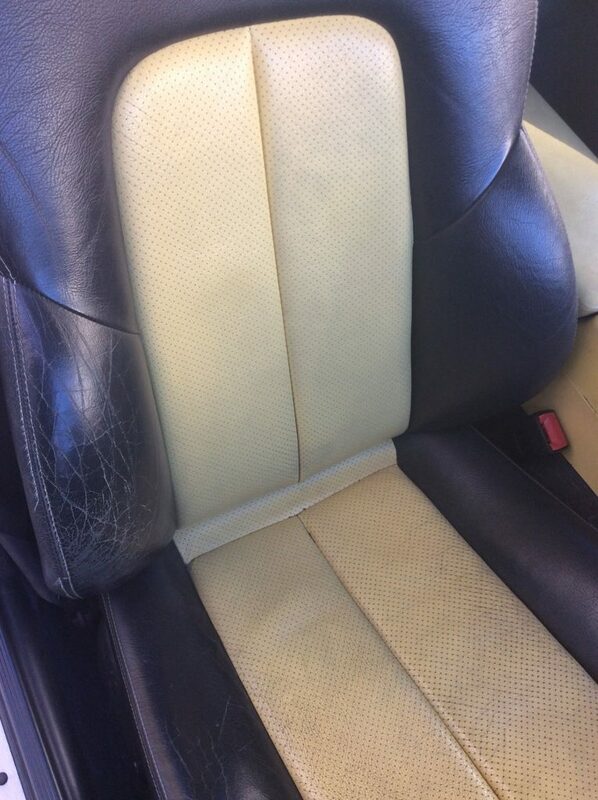 It took about 2-3 coats all over, a variety of different brushes were used including a roller for the leather seats. First coat applied with a roller. Everything was given one to two thin coats the first day and left overnight. The third coat is were it all started coming together. Looks better even after one coat! 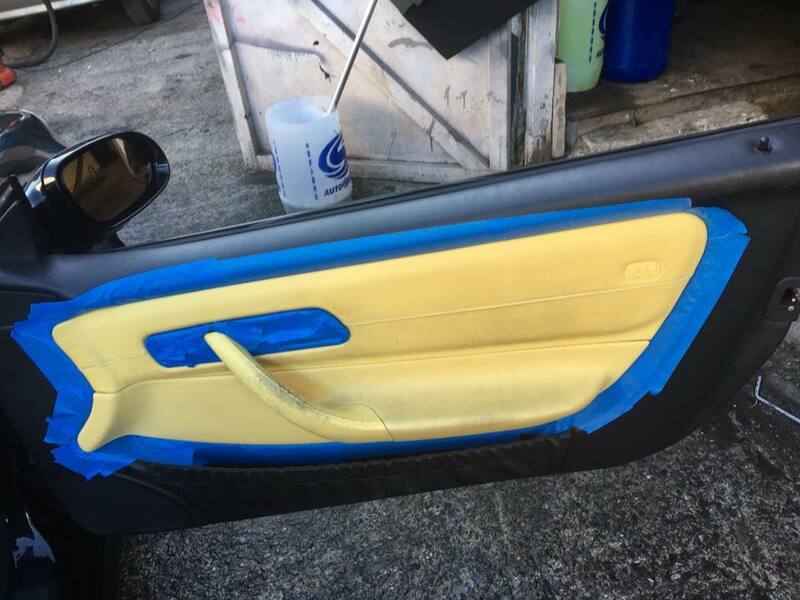 The dashboard and door inserts after 3 light coats. The car had to be kept inside on day 2 as it was raining and we needed the roof down , so the pics could be better but I think even in this light it’s clear there is a massive improvment. nearly done, just the tape to remove and touch ups to be done. After the 3 light coat the tape was removed and a few touch ups done and it was ready! We are dissapointed we haven’t got a beauty shot with the car all washed in some pretty location, but the weather had been real bad and before it cleared up the dealer sold it ! Still drying but a huge improvement from the banana yellow. 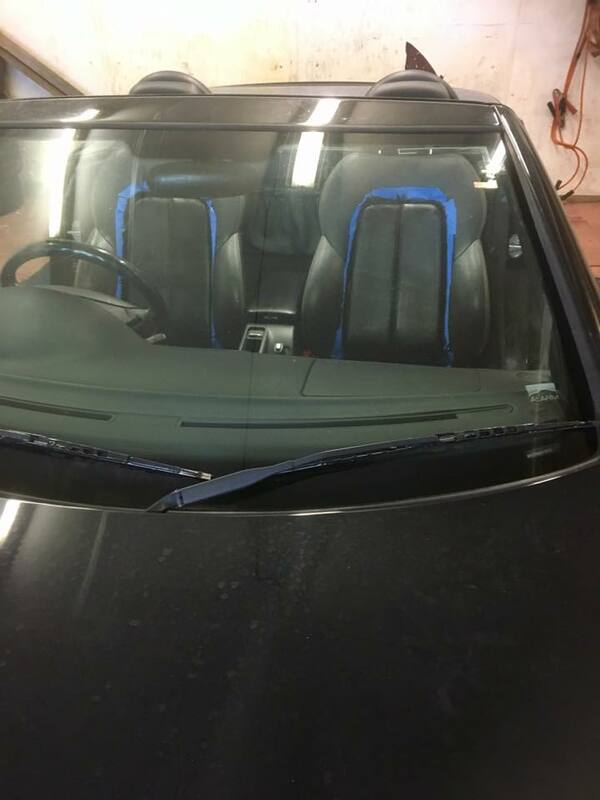 In the picture above the chairs are still drying but the centre panels and dash has dryed to a lovely matte finish. It was a intricate job but we really enjoyed the challenge. 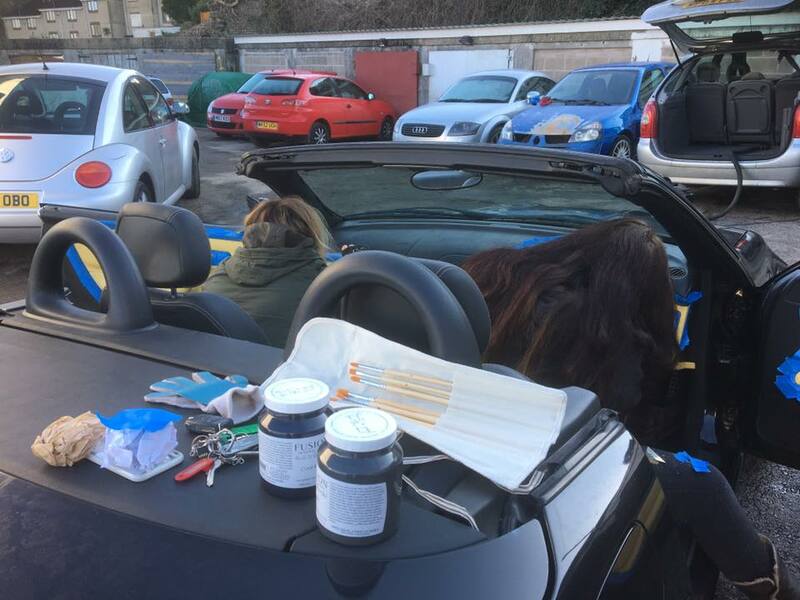 We often say in our trade that we would ‘paint anything’ and now we can tick a car off the list. We would love to hear what you think , leave a coment and let us know. to see the leather armchair painted in Fusion Mineral paint click here. A quick tutorial Silver gilded Angel wings. SANDI HANDS gets the approval of MELANIE LISSACK the winner of the best craft & DIY blogger of the year. How durable is Fusion Mineral Paint? Fusion Custom Colour Before and After. Orange Pine dining table makeover. © 2013 - 2019 Home Revival Interiors. All Rights Reserved. GET THE LATEST TUTORIALS AND SPECIAL OFFERS! Thanks for signing up. You must confirm your email address before we can send you information. Please check your email and follow the instructions.